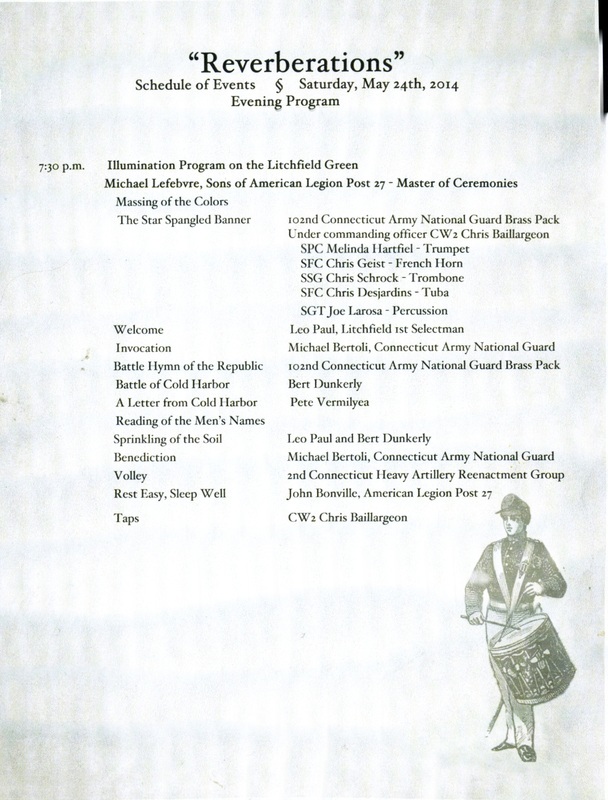 The National Park Service's commemoration of the June 1st battle at Cold Harbor includes the county of Litchfield and Cold Harbor in Virginia who will be holding commemorations simultaneously. In Litchfield, the tour of Civil War Litchfield meets on the green at 10 a.m. near the Civil War monument. 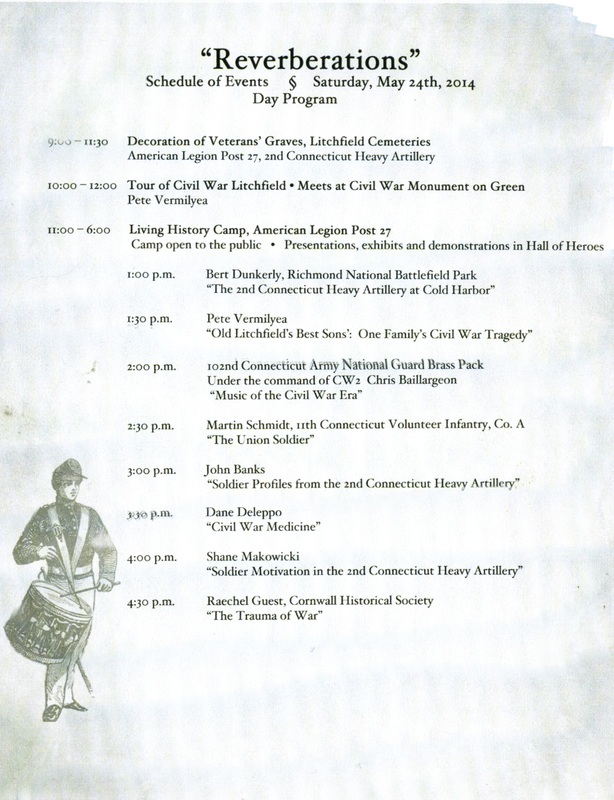 The Day programs and Civil War Living History are located at the American Legion post. The Night program is, once again, on the Litchfield Town Green near the site of the old recruiting tent.